Use a spoon to scoop the contents of 1 container of yogurt into a plastic bag that you can use like a pastry bag. Cut one of the corners of the bag. On a baking sheet (that will fit in your freezer), arrange small drops of yogurt. Put the baking sheet in the freezer for 1 hour or more. Once the drops are frozen, remove from the baking sheet and serve immediately. For different flavors, try regular or Greek Yoplait®. Use a pastry bag if you have one, but I recommend using a plastic bag since it’s easier to handle the yogurt. In the summer, I like to freeze yogurt and give it to my kids in place of ice cream. Yogurt is a very versatile ingredient and there are so many different ways to serve it. 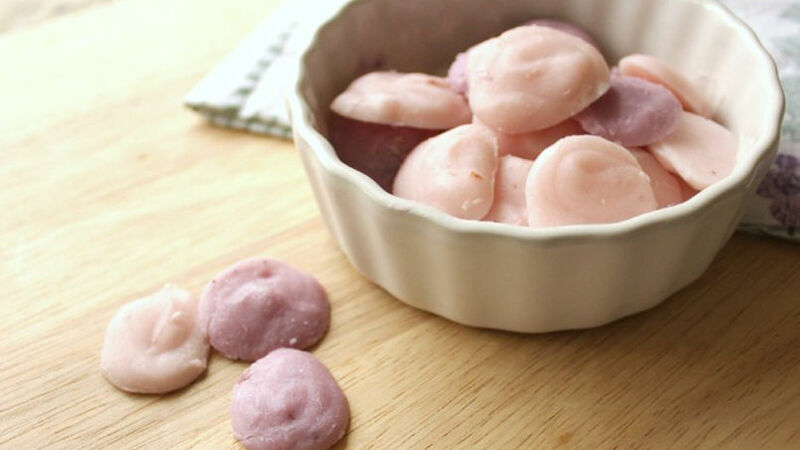 These yogurt drops are easy to make, and little ones can help make them. It’s a fun and interesting way to serve yogurt. Try it today!